Xiaomi Redmi Note 6 Pro has been launched in India. Here are the details on price, specifications, and features. Xiaomi Redmi Note 6 Pro has been launched in India. The successor to Redmi Note 5 Pro has four cameras – two on the front and two at the back. More changes from the Redmi Note 5 Pro include a bigger display and splash resistant coating. Xiaomi Redmi Note 6 Pro will be available at a starting price of Rs 13,999 for the 4GB model, while the 6GB RAM variant will cost Rs 15,999. The storage on both the variants will be 64GB. The phone will go on sale starting November 23, which is tomorrow. 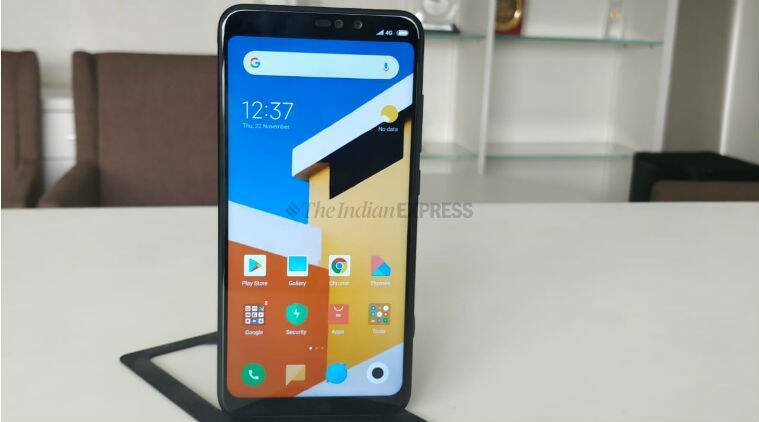 Xiaomi Redmi Note 6 Pro price in India starts at Rs 13,999 for the 4GB RAM model. The 6GB RAM variant will cost Rs 15,999. The sale for the phone starts November 23 from 12 noon on Mi.com and Flipkart online as well as Mi Home retail stores. As part of Black Friday deals, Xiaomi Redmi Note 6 Pro will be available for a special price of Rs 12,999 (4GB RAM) and Rs 14,999 (6GB RAM) only for the first sale on November 23. Launch offers include Rs 2,400 cash back on Reliance Jio SIM and up to 6TB extra data as well as Rs 500 cash back on HDFC debit, credit cards, and EMI. Xiaomi Redmi Note 6 succeeds Redmi Note 5, which was launched earlier this year. Redmi Note 6 Pro gets a 6.26-inches display, compared to a 5.99-inches screen on the previous phone. It has a notched display and a screen aspect ratio of 19:9. The dual rear camera setup is the same 12MP+5MP, though sensors have changed. The camera supports Dual Pixel Autofocus technology along with a bigger 1.4um pixel sensor and improved f/1.9 aperture. The front cameras on Redmi Note 6 Pro are dual 20MP+20MP, compared to a single 20MP camera on Redmi Note 5 Pro. Xiaomi Redmi Note 6 Pro is powered by the same Snapdragon 636 processor, coupled with 4GB/6GB RAM and 64GB storage options. The internal storage is 64GB, expandable up to 128GB via a microSD card slot. Redmi Note 6 Pro runs MIUI 10 Global ROM, which is based on Android Oreo. The phone is backed by a 4,000 mAh battery with support for Qualcomm’s QuickCharge 3.0 technology. Xiaomi Redmi Note 6 Pro supports a dual hybrid SIM slot, which means the user can either put in two SIM cards or a SIM card and a microSD card.